Until the middle of the 20th century, Literacy meant one thing – you could read. It sometimes was modified with the word “functional” to indicate you were capable of reading at a sufficient level to survive in our society. 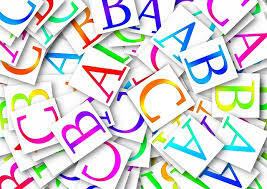 Today Literacy almost never stands by itself – and yet, the important of the basics hasn’t changed . Librarians talk of informational literacy and digital literacy. Educators and parents are concerned about financial literacy. 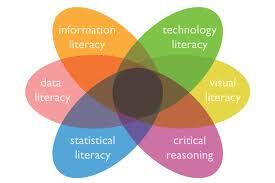 With the emphasis on STEM, there is increased reference to numeric or quantitative literacy. Another important concerns is Transliteracy. It’s defined as “the ability to read, write and interact across a range of platforms, tools and media from signing and orality through handwriting, print, TV, radio and film, to digital social networks.” (www.transliteracy.com). In an age of multiple devices and means of connecting with people and sharing information it is certainly a critical skill. Those dealing with adults also discuss legal literacy and health literacy. If you have ever tried reading a legal document or dealt with health care policies, the importance of these literacies cannot be denied. Even college graduates find themselves unable to comprehend all the subtleties of how language is used in those areas. So we return to where we were in the mid-20th century. First and foremost, we need to be able to read text. And the rate of adult illiteracy is shocking. 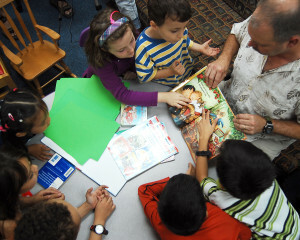 Students are taught to read in class. For some, the skill is difficult and they are turned off. This is the route to illiteracy and low literacy. In the school library, surrounded by books at all levels, guided by a school librarian, adept at connecting a student with just the right book, students discover that reading can be fun. We need more, not fewer school librarians. The wealth of our nation depends on it.